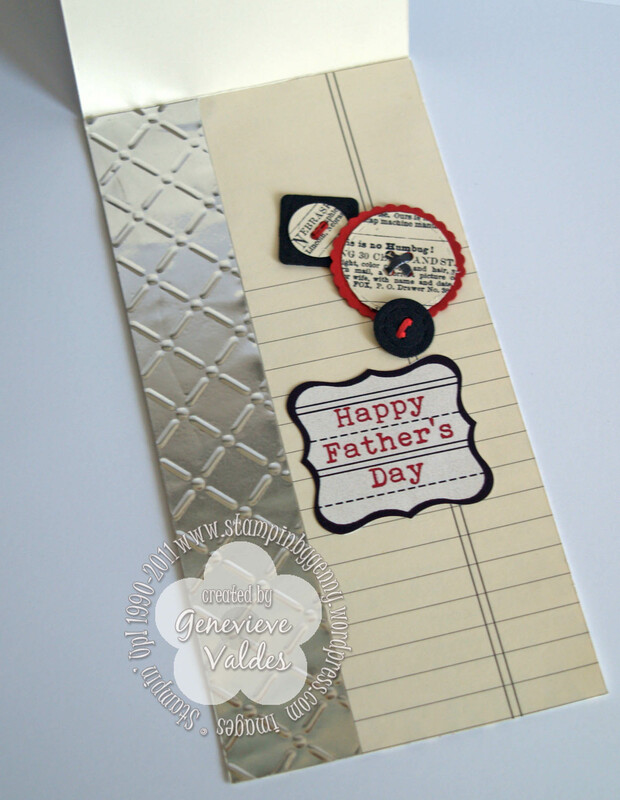 Later this month is father’s day and to celebrate dad or that special guy in your life Hand Stamped Sentiment’s challenge this week is father’s day/masculine cards. The idea for my Dad card from a picture frame. I wanted to put each letter in DAD in a frame. The Curly Label punch fit the bill. I punched three shapes from the Newsprint DSP and six black ones from Basic Black card stock. These I used to frame the Newsprint ones. The next step was to texture the metal sheet with the Perfect Detail Texturz Plate. The letters are die cut using my Big Shot and the Naturally Serif Sizzlits Decorative Strip Die. I die cut a Basic Black and Riding Hood Red set. I used the Basic Black letters as a shadow. I also used the Buttons #5 Sizzlits to die cut some buttons from the Newprint DSP, Basic Black CS and Riding Hood Red CS I used Hemp Twine for the buttons. This card came together very easily. 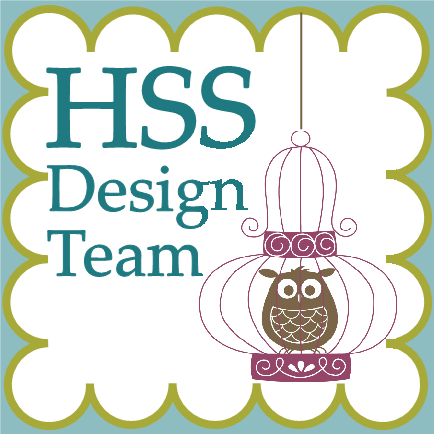 Hop on over to Hand Stamped Sentiments and upload your manly card. We’d love to see it! 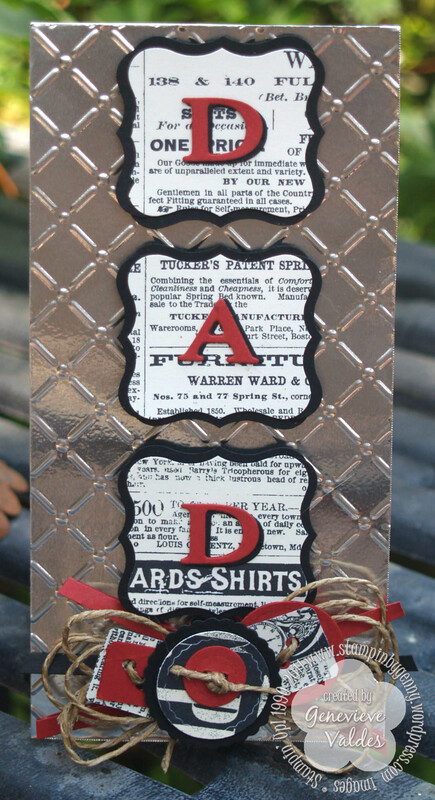 I love the elements of this card – the black matting behind the newsprint is awesome and I love the bold red letters. Love the metal too. Love, love, love this! My friend’s hubby has a car shop with these colors. This would be PERFECT! Such a great idea!!! Great card! Love the layout and all the extra details!